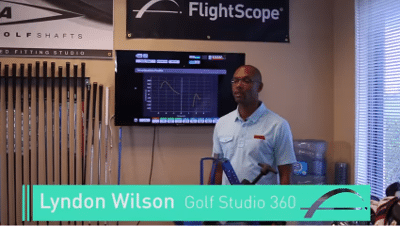 With more than 16 years of experience as a custom club fitter, Lyndon Wilson of Golf Studio 360 describes how FlightScope helps him ensure that golfers are using the best custom golf clubs that align with their needs. As Lyndon explains, he uses FlightScope to establish a player's ball and swing data, and uses the speed and acceleration profiles to examine what shafts are consistently performing well for a player. The ease of use and accuracy of the software is why Lyndon uses FlightScope every day to guide a player into the best fit for their game.